I've been watching a ton of Rurouni Kenshin lately. Dyram suggested it, but I had actually just written about it in a final paper for my class on Samurai (yep). After that class, it's an especially interesting anime since it's historically chronological to where the class ended. While it's certainly not historically accurate in a lot of ways, it has plenty of nuggets of real Japanese history. I might write about it later this week. 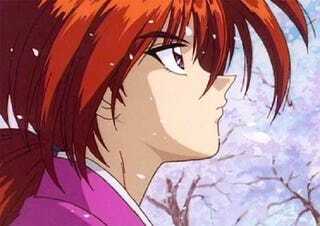 Oh and beyond that the first OP is the best and Kenshin is super cute. It's a hard show to dislike. Has a game or anime every taught you about a real life subject, or inspired you to research something? Talk about this or anything else below!